This item is temporarily out of stock. It is expected to arrive in our warehouse 04/19/2019. You are welcome to order it today. We will ship it as soon as it becomes available. Backorders are not permitted on international orders. 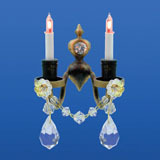 Treat yourself to the shiny, sparkling luxury of Houseworks Brass Grandeur Crystal lighting for your dollhouse. 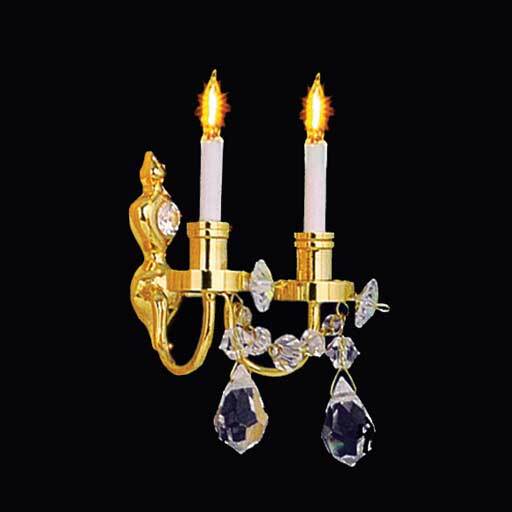 This exquisite fixture is made of brass and accented with perfectly scaled crystals that reflect the light beautifully. 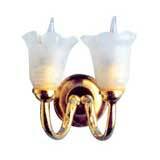 It features candlebody bulbs with screw in bases. 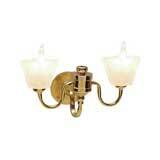 Two replacement bulbs are included with each fixture.